There are many dental practices to choose from in San Francisco. So how do you find the dentist that’s right for you and your family? Research and good information are the keys to success. Read the following articles to find out how you can get the information you need to be confident in your choice of a highly qualified dentist in San Francisco. Choosing a dentist is a very personal decision. Finding a good match will ensure that your San Francisco dentist provides high-quality dental care for you and your family for many years to come. A dentist’s educational background, philosophy about dental health and preventive treatments, and history in your community may influence his or her dental practice. However, despite these background differences, there are some qualities that all dentists should offer, regardless of style or personality. Dentists in San Francisco and the Greater Bay Area must be licensed by the Dental Board of California (DBC), which operates as part of the California Department of Consumer Affairs. You can check the license status of any dentist by visiting the DBC website or you can view a list of all licensed dentists by county. Any disciplinary actions against the dentist will also be noted. All Diamond Certified dentists have already been thoroughly vetted for you, including license verification. However, if there are no Diamond Certified dentists in your area, it’s important to do the background research yourself. Dentist who are board certified meet a series of additional requirements beyond standard licensing. In order to be eligible for board certification, dentists must complete a post-doctoral residency in general dentistry, successfully pass a comprehensive written exam, and demonstrate their understanding of all dentistry practices in a demanding oral exam. To maintain board certification, dentists must complete 125 hours of continuing dental education every 5 years. Only about 1 percent of general dentists have achieved board certification in dentistry. You can find a board-certified dentist in San Francisco County by visiting the American Board of General Dentistry website. If you have complex dental health problems that require oral surgery or comprehensive dental work, you may wish to seek dentists who have experience treating complex dental disorders. A dentist and dental hygienist explain dental x-rays to a patient. 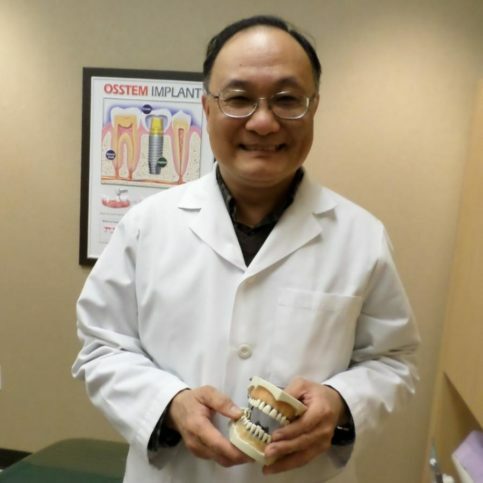 Dr. Ka-Wing Chew is owner of Dr. Chew’s Dental Office Richmond Neighborhood Family Dental, a Diamond Certified company. He can be reached at (415) 935-0983 or by email. 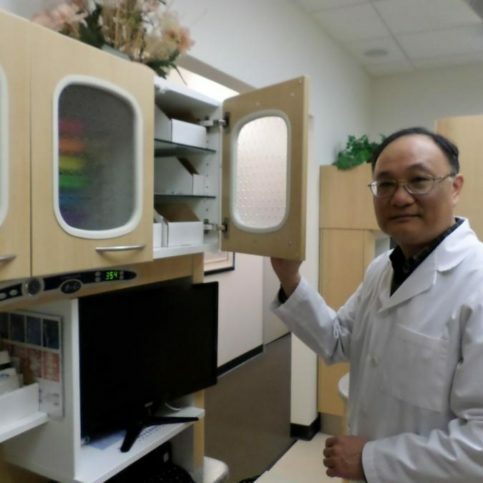 Outside of work, Dr. Chew engages in a variety of hobbies that include fishing in the San Francisco Bay and building computers. “Ever since childhood, I’ve enjoyed putting things together, and I’ve since applied that to computer technology,” he says. “I recently needed a new computer at my office, so instead of buying one, I built it myself.” In addition to his personal interests, Dr. Chew enjoys spending time with his wife, Connie, as well as keeping up with his two children, Renee and Brian, both of whom are pursuing their respective academic goals at California colleges. A: The bald eagle. It’s a very magnificent animal, and it’s amazing how they can see fish from such incredible heights and then dive in for the catch. A: I’d like to go to Israel to see the various sites of Biblical history. A: Read a book or watch TV in bed. 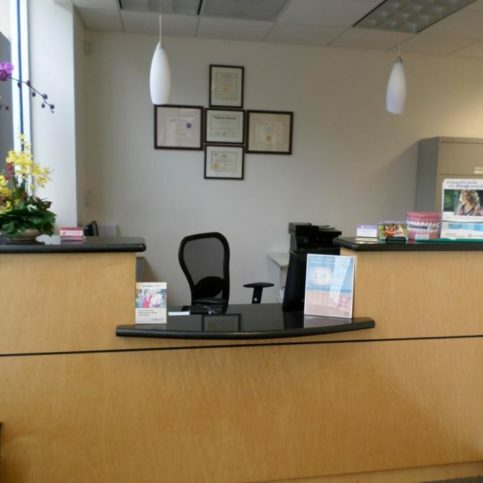 Dr. Chew’s San Francisco dental office welcomes patients of all ages. Do I want a Diamond Certified dentist in SF who is rated best in quality and backed by the Diamond Certified Guarantee? After you have contacted several potential San Francisco dentists by phone, it’s time for your first visit to the dentist’s office. Meeting the dentist and office staff in person should help you determine if this is the right dental practice for you and your family. Remember, choosing a dentist is a very personal decision, so be sure you and your dentist share the same views about dental hygiene, treatment options, and overall dental philosophy before making your decision. It’s best to choose a Diamond Certified dentist because all certified companies have passed an in-depth ratings process that most other companies can’t pass. If you want quality from a dentist in San Francisco and the greater Bay Area, you can have confidence choosing a Diamond Certified company. Diamond Certified reports are available online for all certified companies. And you’ll never be fooled by fake reviews. That’s because all research is performed in live telephone interviews of actual customers. If you can’t find a Diamond Certified dentist within reach, you’ll have to do some research on your own. If you do, it’s wise to call some references provided by your dentist. Keep in mind, though, that references provided to you by the dentist are not equal in value to the large random sample of customers surveyed during the Diamond Certified ratings process. That’s because references given to customers from companies are cherry-picked instead of randomly selected from all their customers. 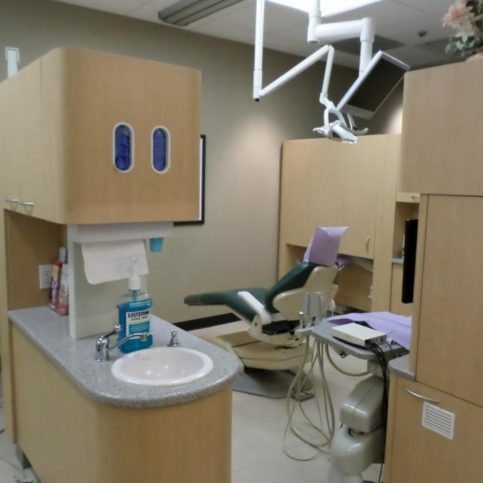 So the dental office will likely give you a few patients to call that they know are satisfied. If you or one of your family members experiences a dental emergency, you will probably feel pressured to choose the nearest available dental office in San Francisco, regardless of whether you feel comfortable with the dentist and his or her staff. That’s why it’s best to select a dentist who fits your needs before you find yourself in a dental emergency. Having a comfortable relationship with your dentist for routine visits will give you confidence to trust your dentist if or when you need emergency dental repairs. Start by researching local dentists in your area of San Francisco when you need preventive care, such as your regular check-up and cleaning. Get to know your local dentist and build a solid, trustworthy relationship with him or her so that you’ll be able to trust them when it comes to more expensive or complex treatments. It’s best to build a dental history with the same dentist over time so that your dentist has your complete dental records – including x-rays and a list of treatments performed – and won’t perform unnecessary treatments or duplicate treatments. This also saves time in an emergency since you won’t need to call or fax another dental office to get your records. 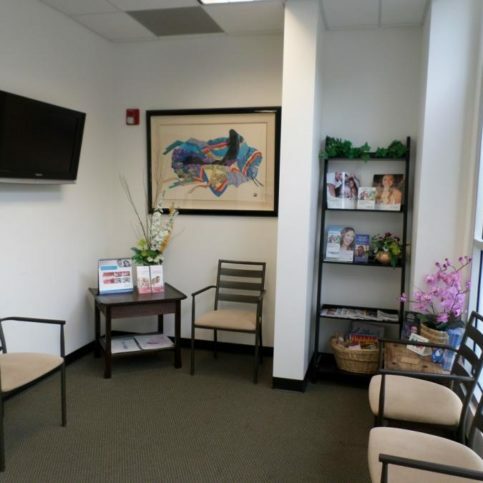 Can a dental office in San Francisco satisfy your requirements for easy scheduling, convenient location, friendly staff, and experienced dentist with knowledge on up-to-date procedures? How Can You Be a Good Dental Patient? It’s your dentist’s job to provide quality dental care using the most up-to-date techniques. But you play a big part in the success of your dental health, too. Here are a few simple steps you can take to be a good patient when finding a San Francisco dentist. Before you select a dentist in San Francisco County, restate your expectations and goals, and reiterate your understanding of their policies. Most problems with local dentists occur because of a breakdown in communication. By being clear about your expectations and theirs, you can avoid most conflicts. Why would you want to be a good patient? Dentists in San Francisco appreciate patients who are straightforward, honest and easy to work with. Your good behavior sets the tone from your end and creates an environment conducive to a good relationship. As a result, visits may go smoother and any problems may be more easily resolved. 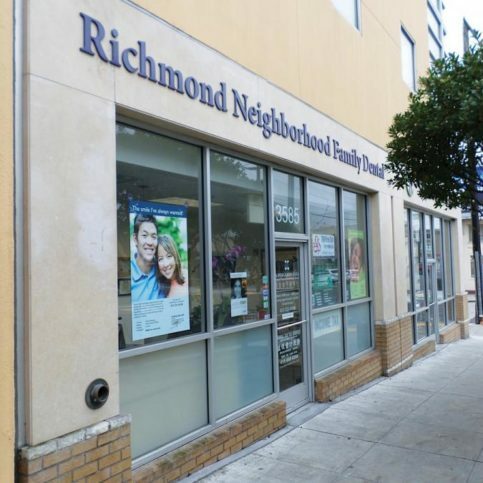 Here are a few simple steps you can take to be a good patient when choosing the best local San Francisco dental clinic in Bernal Heights, Bayview, Richmond District and Nob Hill or your area. Be clear the dentist and the office staff. Let them know what you want from your dentist, the long-term outcome you’re expecting, and specific ways the dental clinic can satisfy your expectations. By being clear about your expectations and the reality of the dental work, you can avoid most conflicts. Be sure your dentist has accurate contact information for you so they can reach you at all times. You will need to be aware of appointment rescheduling, test results, scheduling availability and other information from your San Francisco dentist. Promptly return all calls from your dentist. Keep all appointments or cancel with at least 24-hour notice if you are unable to keep your scheduled appointment. Pay all co-pays or outstanding bills promptly. Why would you want to be a good patient when dealing with local implant dentists? Staff at dental implant centers in San Francisco appreciate patients communicate clearly, are honest and proactive, and who are easy to work with. Your good patient behavior helps sets the tone for a good working relationship and contributes to an environment conducive to positive interactions. Your dental implant placement may very well go smoother and any problems or conflicts may be more easily resolved. Diamond Certified dental offices are backed by the Diamond Certified Performance Guarantee. If you and your Diamond Certified dentist cannot resolve the issue by speaking with the dental office manager or dentist, contact the mediation department at [email protected] or call 800-738-1138. Problems sometimes arise in even the best dentist/patient relationships. Your first step should be to discuss your concerns with your dentist. Oftentimes, problems are simply a matter of miscommunication, and this simple step resolves the issue. If you are still dissatisfied, be sure to document your concerns in writing and share them with your dentist. If this still does not resolve the problem, you may contact the California Dental Association or the San Francisco Dental Society (www.sfds.org). The San Francisco Dental Society can help resolve your dental care related complaints through their Peer Review Committee. This process was established to resolve the occasional disagreement about dental treatment. Peer review provides an impartial method for resolving misunderstandings about the appropriateness or quality of care or about the fees charged for dental treatment. After you contact the San Francisco Dental Society with your complaint, they will arrange a peer review committee to mediate the problem. This committee will meet to discuss the case and may examine clinical records, talk to your and your dentist, and potentially schedule an examination for a second opinion. Dentists in San Francisco offer a wide variety of preventive and treatment options for your dental health. However, some dental procedures are more common than others. The following are the most common requests at local dentists’ offices. A dental crown is used to cover a damaged tooth starting at the gum line and fully covering the entire visible portion of the tooth. This strengthens a weak or cracked tooth. Crowns may be made of a variety of materials, including metal, porcelain, resin, or combinations thereof. In a dental emergency, your dentist may make a temporary crown of acrylic or stainless steel that is used temporarily until a permanent crown can be made at a dental laboratory. This process typically takes 2-3 weeks. After receiving the crown, your dentist will anesthetize the tooth and gum tissue, file down the chewing surface, and cement the new crown in place. A root canal is a treatment to repair or save a badly decayed tooth. During a root canal, your dentist will remove the nerve and pulp of the decayed tooth, and then clean and seal the inside of the tooth. This prevents the decaying tissue from infecting the entire area and forming abscesses. Root canals are typically performed by an endodontist and may require several visits to finalize the treatment. Your dentist will take an x-ray to determine if the infection has spread to surrounding bone. He or she may use local anesthetic when completing the procedure. After drilling a hole in the tooth, the dentist will remove the pulp and decayed tissue from the tooth, periodically flushing away debris. After it is cleaned, your dentist will seal the tooth. This may be at the same visit or a week later. Depending upon the extent of the decay, you may require additional restoration work, such as a crown, to fully restore the tooth. Dental sealants are thin, plastic coatings applied to the grooves of permanent molars to protect from tooth decay. Sealants are commonly used for children and teens, since this is the most common area of tooth decay for younger patients. Applying sealants is an easy and pain-free process. After a tooth is cleaned, a special gel is applied to the tooth’s chewing surface for a few seconds. Then the tooth is washed and dried, and the dentist paints the sealant on the tooth. Sealants last anywhere from 5-10 years and can be reapplied if they are no longer in place. The Centers for Disease Control and Prevention (CDC) recommend sealants as a way to prevent tooth decay for children. Many dentists offer services to improve the appearance of your smile. One of the most requested cosmetic procedures is professional tooth whitening. There are several options for tooth whitening at your dentist’s office. The quickest way to whiten teeth is bleaching. Your dentist applies whitening product to your teeth and then applies heat or a laser to the whitened area. This usually requires only one 30-minute treatment and often provides dramatic results. Your dentist may also provide whitening gel and custom-fitting trays that you use at home to reduce or eliminate tooth stains and discoloration. While this method takes longer, it is often less expensive and may reduce tooth sensitivity. Tooth whitening is not permanent, so you will need to have the procedure repeated every 6-12 months to maintain results. uring the dental bonding procedure, your dentist will apply a tooth-colored resin to your teeth that is molded to the correct shape. Next, he or she will use a laser or UV light to harden the material. This is followed by additional contouring, trimming, and polishing to ensure that it matches the rest of your teeth. The entire procedure takes no more than an hour and generally does not require anesthetic or multiple office visits. Tooth contouring can be used to correct crooked, chipped, or cracked teeth. Your dentist may also use tooth contouring to adjust the length, shape, or position of your teeth. Dentists may use this as a substitute for orthodontic braces in some circumstances. During the procedure, your dentist will mark your teeth with a pencil. He or she may use a sanding drill or laser to remove small amounts of surface enamel, and then smooth and polish the tooth. Anesthetic is usually not required, and the procedure requires anywhere from one to three visits.